A young cheese with a great taste. 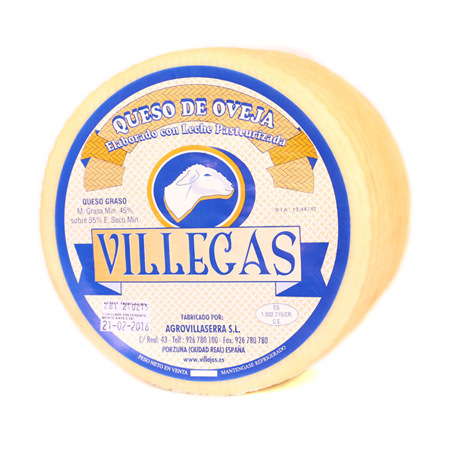 The Villegas soft cheese is made from sheep’s pasteurized milk. Its ripening period lasts a little bit more than a month and it is in middle point between a tender and a semi-cured cheese. It is ideal for those who look for a soft cheese with a ripening touch. Formats: Whole cheese of approximately 1 or 2 kilos. Available in half or wedges.